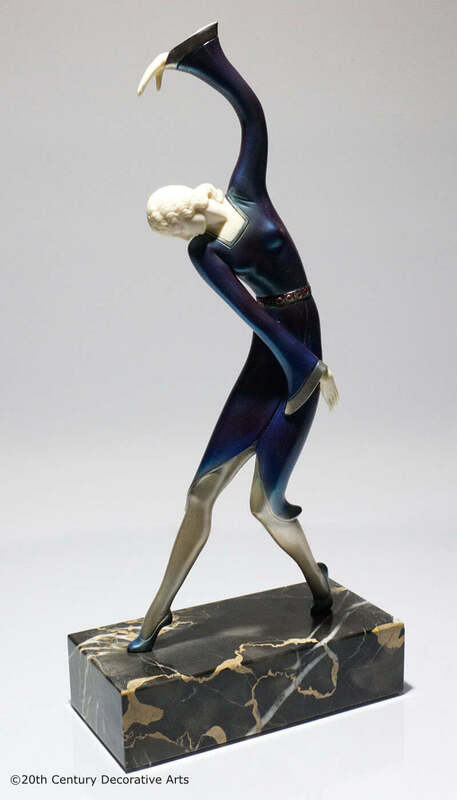 An extremely rare Art Deco figure, silver plated and cold-painted pewter and ivory, Germany 1920s. 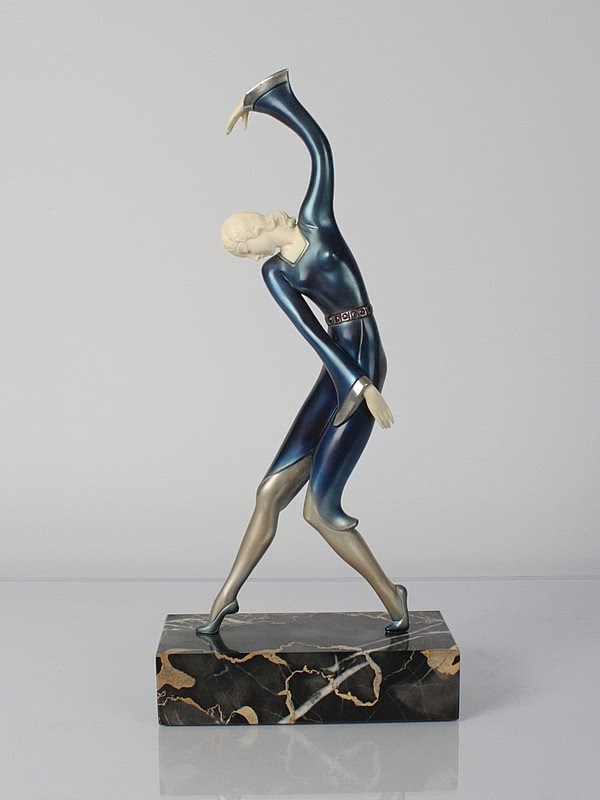 This is the only example of this sculpture I have seen. 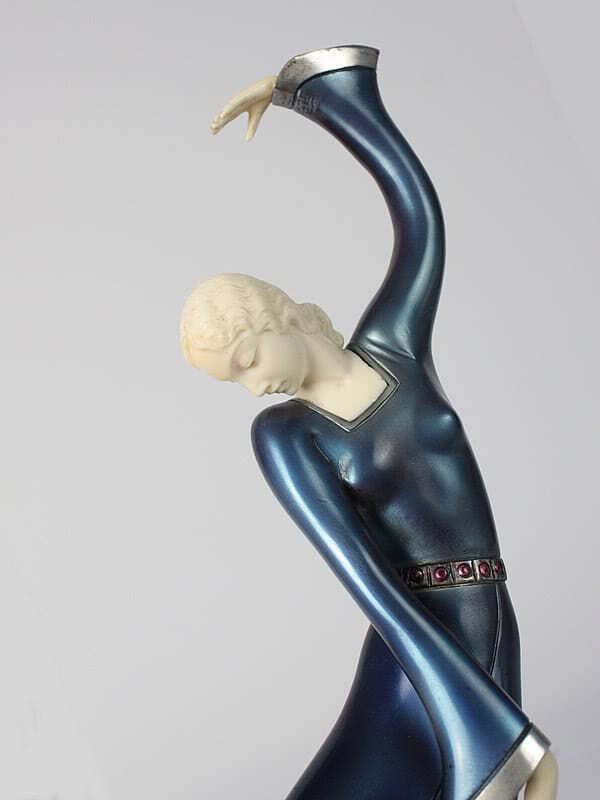 It is unsigned but the style and the carving of the face lead me to believe it is by Hans Harders. 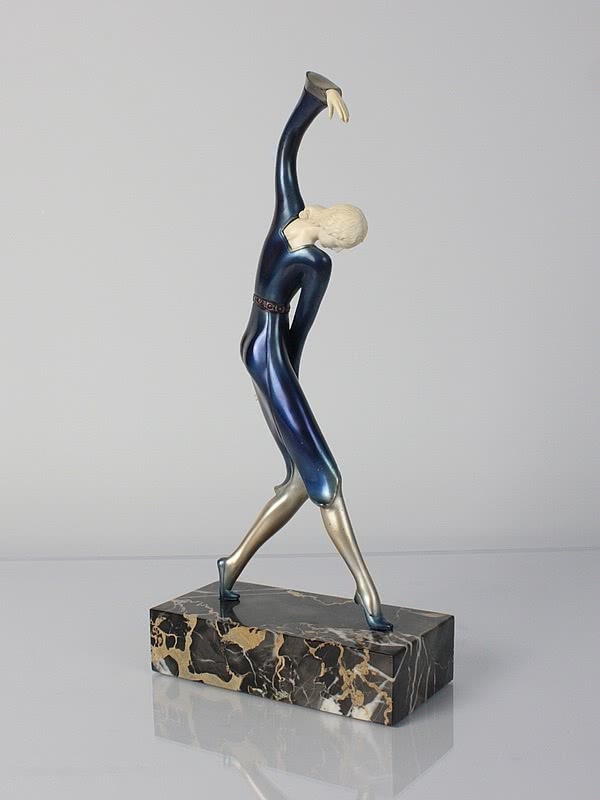 Beautifully carved and exceptionally stylish, this is a stunning example of decorative Art Deco sculpture.